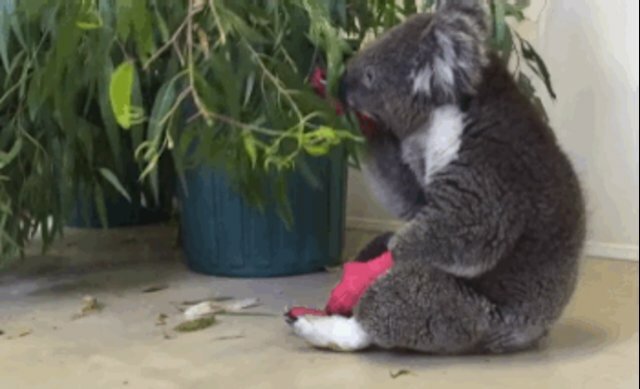 Jeremy The Koala's Scorched Paws Have Healed! Weeks after being saved from wildfires that ravaged parts of South Australia, one of the blaze's furriest victims is back home where he belongs. 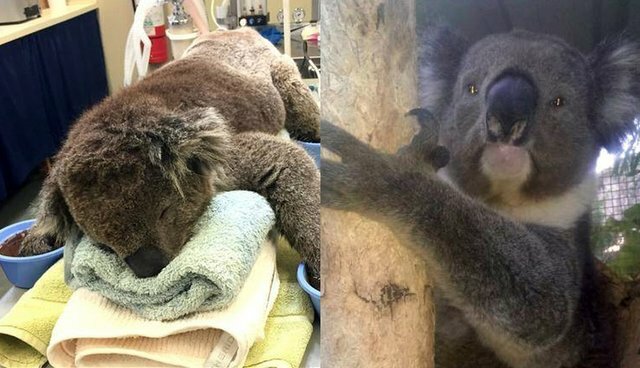 Jeremy, a 3-year-old koala, was one of more than a dozen injured animals who was whisked from the burning bushland to safety by fire crews earlier this month. 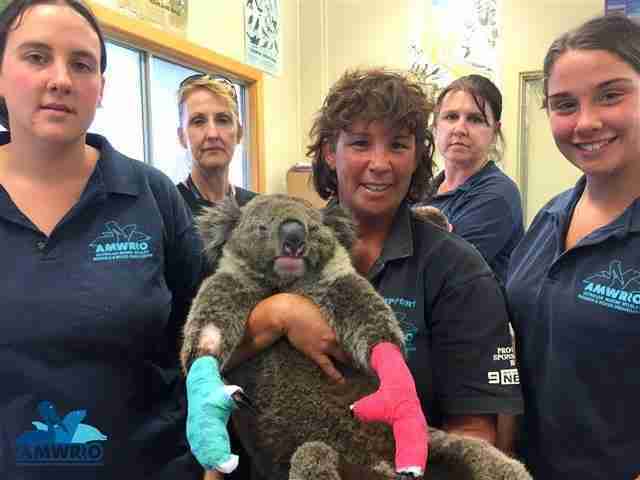 Caregivers at the Australian Marine Wildlife Research and Rescue Organisation (AMWRRO) quickly set about tending to his burns. Although not alone in his plight, Jeremy soon came to be the disaster's most recognizable face after a photograph showing him soaking his scorched little paws went viral online. 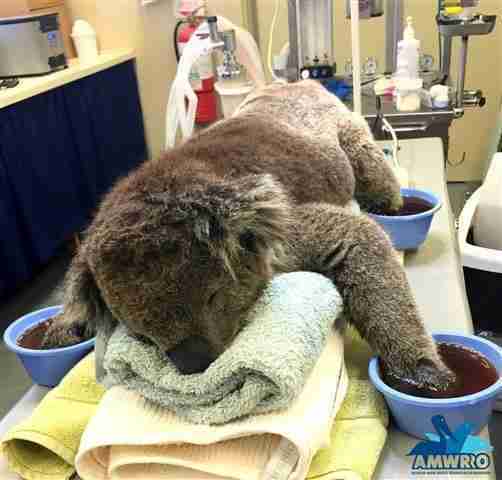 Meanwhile, animal lovers around the globe contributed to the rescue efforts, crafting countless mittens to help koalas like Jeremy recover from the burns they received. After putting out the call for volunteer sewers for the cause, the International Fund for Animal Welfare easily met its goal for mittens. As Jeremy recovered, he began to eat more regularly, regaining his strength. "He's responded extremely well to treatment," AMWRRO president Aaron Machado told the Australian Broadcasting Corporation (ABC). But Jeremy still had one big step left ahead of him: going home. Nearly a month after being rescued, with his paws fully healed, Jeremy was given a clean bill of health to be returned to the wild. 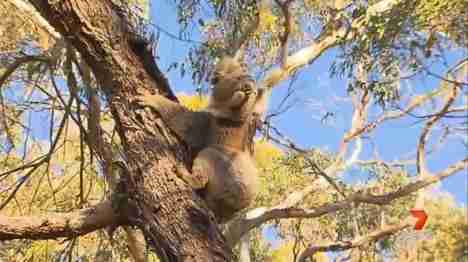 On Wednesday, while a small crowd looked on - including Jeremy Sparrow, the fireman who plucked him from danger and after whom he was named - the hardy koala was set free a few miles from the forest where he'd been found. A video of Jeremy's release shows him eagerly scampering up a tree, sounding a final call to those dedicated rescuers who made the moment possible. "It was a good feeling to see him race up that tree, quite happy and contented," Sparrow told ABC. "I think he was voicing his approval."